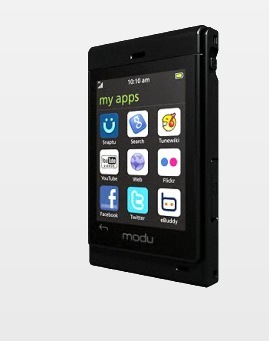 Remember Modu, the Israeli phone maker who never quite found a market for its itty bitty cell phones? That’s ok if you don’t, because the semi-omniscient Google does. Back in 2008, Modu came up with a tiny modular cell phone that could slip into a number of different sleeves to be able to perform different actions and functions. Now, over three years later, Google has received permission to buy Modu’s patent portfolio, in what we assume are plans to resuscitate the forgotten phones that were only previously picked up by a few carriers. Shortly after Modu’s entrance into the mobile arena, the company whipped out its latest and greatest phone models in preparation for an IPO, but unfortunately had to shut down operations after running out of cash. Of course, Google was happy to step in and lend a helping hand in the form of a $4.9 million IP purchase. The Google funds will go towards payment of Modu’s creditors and ex-Modu employees who have yet to be paid. We’d expect that Google has new Android technology in the crosshairs with this patent portfolio acquisition, although the search beast has yet to officially comment on plans.